This is an album I purchased based on its somewhat controversial cover, featuring a “crucified” astronaut floating in space looking down on Earth. 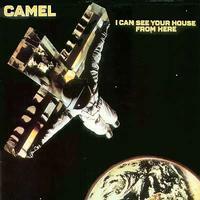 I later learned that Camel was part of the Canterbury scene that produced Caravan; the two bands even shared a few members through the years. It turned out to be much more commercial than I’d expected, especially for a band featuring two keyboardists. 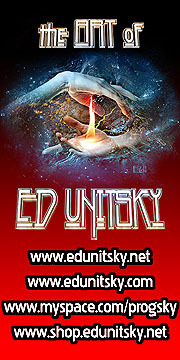 The lyrics are surprisingly domestic for a prog band, mostly about romance and relationships, rather than more cerebral topics like fantasy and metaphysics favored by many other bands of the genre. There are a few very strong tracks on this collection, but I think it takes second place to some of their earlier more progressive works like the all-instrumental, Music Inspired by The Snow Goose album. It’s definitely worth a listen, though. As commercially accessible as the previous track, Mel Collins, who has worked with the band on and off, provides a punchy alto sax solo. You may find yourself with the catchy chorus in your head for days, though. This one is a mellow instrumental as calm as one might expect to find it in the storm’s eye. It’s surprisingly less complex musically than the first two tracks. Side two of the original vinyl opens with this instrumental written by guitarist Andrew Latimer and performed by the orchestra. It’s a very cool piece of music, indeed. After an album of more commercial songs than Camel were known for up to this point, it concludes with this rewarding ten-minute instrumental that really showcases Latimer’s excellent guitar soloing. The piece ends with some lovely acoustic guitar and a fluid jazz guitar solo.